Does your busy schedule interfere with your diet plan? Do you tend to eat fast food in order to save time? But it is an inexcusable mistake which you might regret later. It is true that cooking meal everyday is time consuming and hence you may often just loosen up and do not follow your strict diet plan. However, there are some foods that are healthy yet easy to cook and you can also eat them on a regular basis. With the football season in full swing, spending time with your closed ones, munching and hogging become the norm knowingly or unknowingly! So buck up for the world cup season! With these foods in your grocery bag, you no longer have to spend long times in the kitchen and miss the exciting football matches. Here is the list of stuffs that you must shop from the market so that you can do not gorge in too much of grease and sugary stuffs! Munch on Mushrooms: Mushrooms are very easily available in any grocery store and they are easy on money too. You can add mushrooms with any dish to enhance its quality and taste. Mushrooms have loads of proteins and vitamin D in it, which gives a boost to your immune system. You can take mushrooms with omelet or add them to green salads while catching up the live football action! Go a bit spicy and combine it with tuna fish and relish the delicious treat as your snacks. Brown Rice: For a balanced diet, you must take the right amount of protein, fat and carbohydrate. Brown rice will supply the amount of carb that you need to keep your body fit and functioning. It takes not more than few minutes to cook brown rice and you can have it anytime you want. This is also rich in minerals and vitamins which give your body enough strength to fight with diseases. So, a pouch of brown rice must be on your buying list when you are heading to the market. If it is difficult to satiate your appetite with snacks, you can keep brown rice handy for a sumptuous feel along the snacks. Tuna: You must have heard about the magic of sea foods; they are not only tasty but also have a huge amount of vital amino acids and essential proteins that will help you keep all illnesses at bay. Moreover, they do not add too much of calorie to your meals, so no fear of gaining weight. Tuna comes in little tins or to-go packs that you can easily store in your kitchen or refrigerator. Steamed or fried, tuna always tastes superb, so prepare any dish by tossing it up with a sauce of your choice and relish while matching the matches. Limes: Yummy limes are just the perfect add-on for your meals. Sprinkle some lime juice on your salad or tuna snacks and savor it with delight. Apart from giving a tangy flavor, it also adds a huge amount of vitamin C to your dishes. Have some limes in your pantry and use them while cooking. It helps cleanse your digestive system and contains anti cancer properties too. So do not underestimate its small size and keep them handy at all times, no matter what snacks you rustle up after hitting the cooking zone. Sunflower seeds: Do you have the habit of gobbling chips and other crunchy snacks? Replace the oily, high calorie fried snacks with light and tasty sunflower seeds. Satiate your tongue with these crispy flakes and stay in shape. Your children will also love to dig into a pack of sunflower seeds when its family time when the football teams lock horns on the field. While travelling, you can always keep it in your bag as it is a great appetizer. Therefore, make it a point to purchase plenty of pouches from the grocery seller. 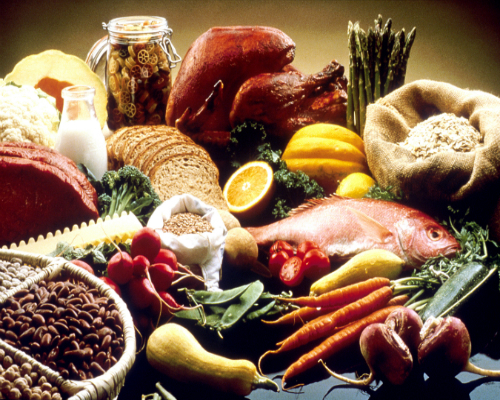 When it comes to buying food, you must take the health quotient into consideration. With these few foodstuffs in your shopping bag, you can stay healthy and enjoy the entertainment that FIFA World Cup 2014 has to offer! Henceforth, cram your grocery sack with healthy ingredients and stay all hale and hearty!